I have shared two easiest methods on how to connect AirPods to MacBook Pro and Air. You can even fix all your issue related to AirPods like Disconnecting From Mac. Users can also remotely use AirPods after connecting to the MacBook. You will hear all your MacBook sound directly on your AirPods. There is a vast number of users who use the Apple MacBook in their daily life. Apple’s MacBook offers tons of amazing features which you are not going to get on any other PC or laptops. Today, almost every person is using Apple MacBook for their works. Besides of it, many companies offer their employee to do their jobs using Macbook. But, what if someone has Apple AirPods and want to connect it with the MacBook? You might not be able to do so because you don’t know the method for that. Well, learning how to connect AirPods to MacBook is very easy which you are going to know here. There are plenty of ways available by which one can learn how to connect AirPods to MacBook Pro and Air. 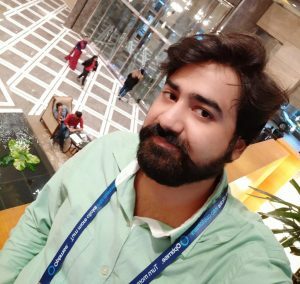 Here, I have shared two different methods by which you can connect AirPods to MacBook whether its Pro or Air. Also, the methods are very simple and straightforward so that it will be easy to follow up the entire guide easily. So, what are you waiting for? Move on to the method and do follow it. If you are using an iPhone, then you might be familiar with the iCloud and its services. We all know that one iCloud account syncs each and everything to the multiple devices which used to log in with that specific account. So, if you are connecting the AirPods with the iPhone. Then, it will show the name of the AirPods on the Bluetooth section on your Macbook. The entire procedure about how you have to do so using the iPhone is given in this section. Turn on the Bluetooth connectivity on your iPhone. Now, open the lid of the Apple AirPods. Then, connect it to your iPhone. Make sure that you are logged in to the Apple account. After that, move on to the Macbook. On your MacBook, login to the same Apple account. Now, open the Bluetooth option and there you will see the name of your AirPods. Now, click on it and connect it using the MacBook. Somehow, if you don’t have the iPhone and cannot be able to use the first method to connect AirPods to MacBook Pro and Air. Then, don’t be sad. There is an alternative of that too. What you have to do is, use the Bluetooth option of your MacBook so that you can connect AirPods to MacBook. But, hold on, how you have to do so? The step by step guide is given in this part of the article. On your Macbook, go to the menu bar. There you will see the Bluetooth option. Click on the Bluetooth icon and click Add new device. Now, open the case of your AirPods so that it will turn on. After that, connect it by following the onscreen instruction to your Macbook. That’s it. This is how you have to connect AirPods to MacBook. It might be possible that you are facing an issue that your Apple AirPods keep disconnecting from your Macbook. When you first connect it to the Mac, then the AirPods get connected and plays some audio perfectly for you. But, after a few minutes, it loses the sound, and within seconds it gets disconnected from the Mac. In this method, I have explained how you can solve this issue quickly. On your Mac, press and hold the Shift + Option key. Then, click the Bluetooth option from the Menu bar. From the hidden menu which is Debug, click Reset the Bluetooth module option. Confirm the action from the warning message. That’s it. Reboot your Mac to save changes and then try to connect the AirPods again. This was all about how to connect AirPods to MacBook Pro and Air. We have seen two different ways by which you can easily connect AirPods to MacBook. If you have an iPhone, then you can use the first method, but if you don’t have it, then you can use the second one as well. There may be some more methods available which can help you to connect AirPods to MacBook. But, these methods are authentic and genuine. 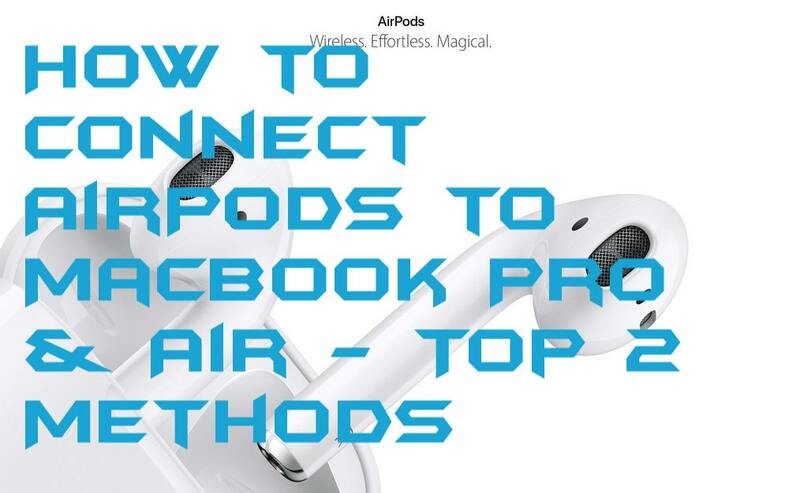 I hope using this article you now know about how you have to connect AirPods to MacBook Pro an Air both. You can share this article with the person who would like to connect AirPods to MacBook as similar to you.